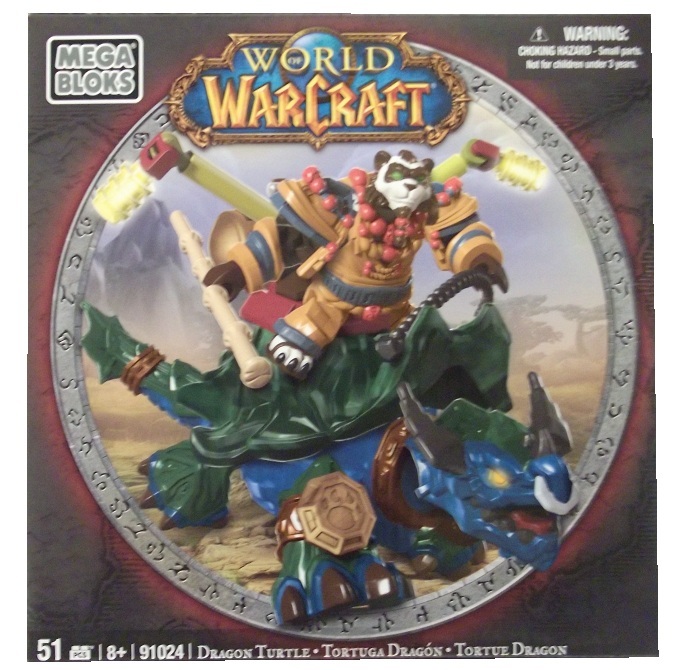 Product Detail Summary: From World of Warcraft by Mega Bloks, build and customize the Alliance Dragon Turtle, a mount native to Panderia. Includes Wind paw, the mighty Panderan monk who travels to far away lands on the back of his mount, in search of his next great opponent. Wild paw features interchangeable gear, including a full set of the powerful Battle gear of the Red Crane and bo-staff weapon. Ideal for ages 8 years and above.